Omnific Assembly is calling for submissions to their latest exhibition, titled Echo’s Lost, which will be held during the Melbourne Fringe Festival in 2009. 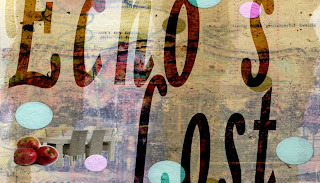 Echo’s Lost is an exhibition focusing on the idea of Memory and an exploration of what is left behind when memories fade. Rather than look at specific memories, Echo’s Lost concentrates on the idea of memory itself and the space left behind when the memories are gone. We are looking for small 3d works that have some kind of vintage feel and fit the classy ambiance of the Circa store. In the photo the cabinet is fairly full, we envision that for the exhibition there will be less items in it. We don’t want it too crowded. Depending on the works, we are looking for around 12 to 15 artists to create 3d works of no greater than 200mm wide and able to fit into the dimensions above. The exhibition cost will be $30, and the dates will coincide with Fringe, which is 3 weeks across the end of September and the start of October. Omnific Assembly is gaining a reputation for interesting and unique group art exhibitions. Curated by Sayraphim Lothian, they have produced five highly successful exhibitions since 2005, including 21 Dead Bugs as a Gift, a unique cross platform project and Totem – Dolls with Souls at Federation Square for Fringe 2008. More information can be found at www.omnificassembly.com. Omnific Assembly is focused on developing cross platform projects that involve a diverse community of artists, from digital to traditional craft. Thanks for your link to Fitzroyalty! Would you be interested in seeing your work about local places syndicated on local news blogs? See Fitzroy for example. Many local bloggers are contributing. There’s no advertising and no exploitation of your content – just a convenient way for local people to read local news. To contribute please add suburb categories, tags or labels to your posts, such as ‘Fitzroy’, ‘Brunswick’, etc and let me know you’ve done this. RSS feeds for these tags are created and added to the local news sites. You may find that syndication brings more traffic to your blog and more comments from readers!